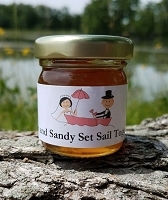 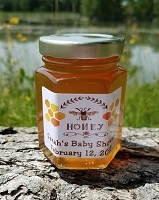 Our personalized honey favors make great gifts for baby showers, bridal showers, weddings, graduations, company promotion give aways, birthday parties, holidays, whatever your event! 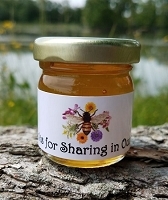 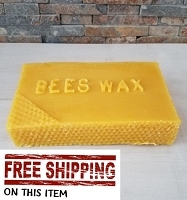 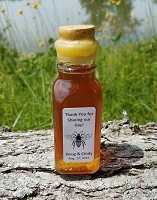 We ship favors out about 1 month prior to the event so the honey does not start to crystallize on you. 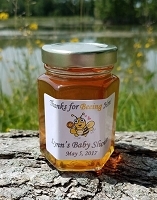 You can order at anytime, but realize we will not fill or ship your favors until about 1 month prior to your event date. 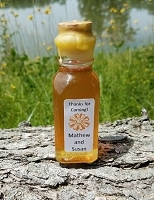 We don't limit you to what wording or personal pictures you can place on your favors. 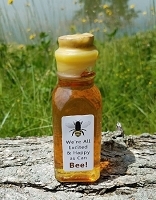 If you have your own logo design and/or wording you can send these to us after you place your order. 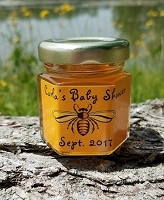 You'll be able to proof your label prior to printing. 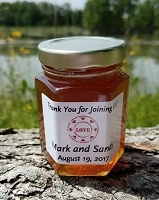 To learn more about ordering personalized honey favors, simply click on the PICTURE of the jar and variety (located below) that you wish to order, then simply read the description on the honey favor page - this will also explain the ordering process. 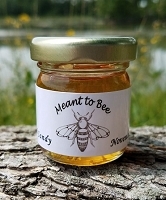 We do require a minimum order of 30 jars for personalization. 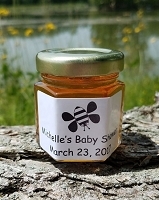 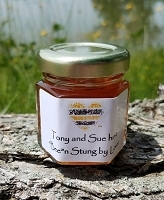 If you need less than 30 jars, or wish to personalize the jars yourself, please visit our Honey Favor page. 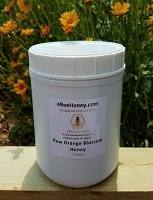 Personal Orange Blossom Round 2 oz. 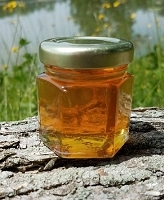 Personal Orange Blossom Hex Jar 2 oz. 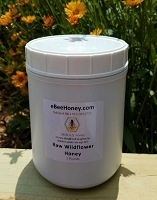 Personal Clover Honey Hex Jar - 6 oz.